Sports Cards, Sports Collectibles and Coin Show is returning to Oakwood Mall! This will be expansive display of merchandise featuring Dealers from over 5 states. The show will include Sports Cards (New and Vintage! ), unique sports memorabilia, autographed sports collectibles, bobble heads, helmets, autographed jerseys, custom sports plaques, collector supplies, new sport and entertainment wax, MAGIC Cards, comics, coins, collector toys, coins, gold, silver, currency plus so much more. BUYING/SELLING/TRADING and Free Appraisals on-site. Pack Wars/Box Breaks!! The show will be located next to Hobby Lobby across from Eddie Bauer. The show will run Friday, Apr 26 & Saturday, Apr 27 from 10 am to 9 pm and Sunday, Apr 28 from 11 am to 6 pm. 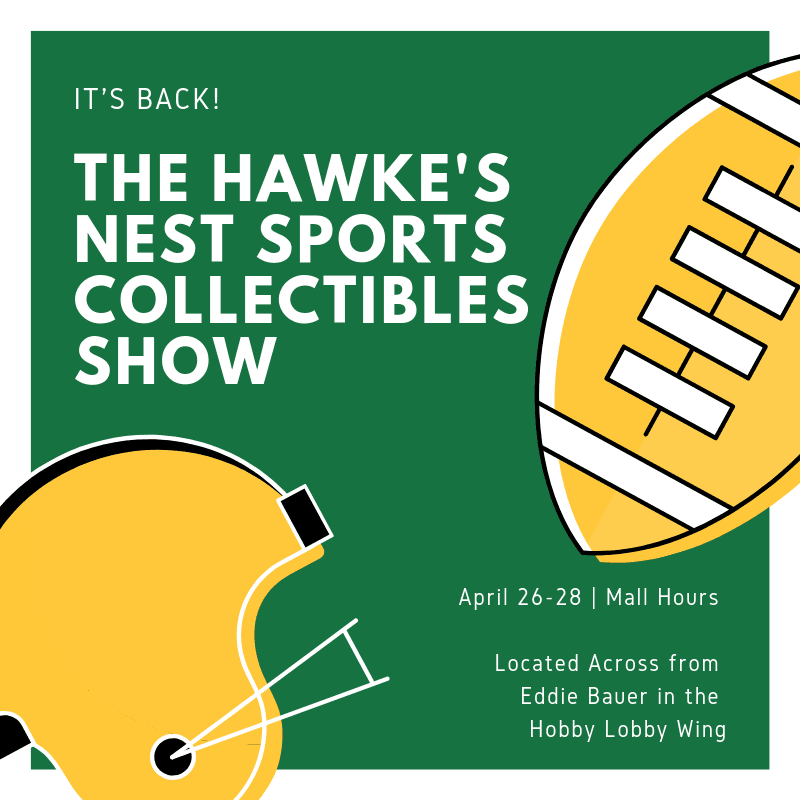 Contact Michael Hawke with The Hawke’s Nest - Upper Midwest Sports Collectors Club at 715-356-3123 if you are interested in being a vendor in this show.